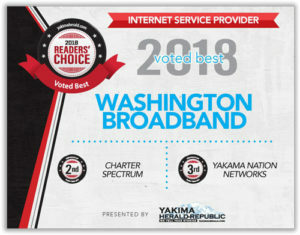 Washington Broadband has had a sister company Washington Telco LLC for many years, even in the days of Northwest Info net, the old dial-up company, we were a CLEC. A CLEC is a mini telephone company. CLEC stands for Competitive Local Exchange Carrier. The telecommunications act of 1996 had provisions in it designed to spark competition between local and long distance telephone carriers. The Act divided the landscape of telephone competition into Incumbent Local Exchange Carriers—the traditional phone companies, (then known as “Baby Bells,”) and CLECs. The CLECs were given special access to the ILEC’s equipment, particularly their phone lines, in order to bring prices down for consumers, increasing competition. There are two types of CLECs, facilities-based, or resale. Facilities-based CLECs are peers with the ILEC. Resellers sell their infrastructure to other CLECs, and the margins are so thin that most CLECs favor becoming facilities-based, or do both. Washington Telco, LLC is a Washington State CLEC and we own our own facilities, a dual redundant switch located in the Westin Communications Center in Seattle. We used to do DSL (Digital Subscriber Line) but the phone company has fought us all the way wanting to charge us more to lease a line than they charge themselves for DSL. I still remember when Qwest told us they “didn’t want to work with us because the Internet was just a fad that would go away” You have to love the lack of vision of big corporations. That’s why they are all trying to get government subsidies now so they can catch up to the Internet that most of us Internet Service Providers have already built. With that aside what does our phone line service cost? For people who hardly use their phone we have a 200 minute plan for $11.99 a month, if you pre-pay apply a discount of $2.00 a month. For unlimited phone the cost is $21.99 a month with the same $2.00 discount for prepaying each month. In addition we have to add the local taxes and Connect America Fund (USF) tax which add’s up to about $5. That’s it, no FCC Connection Fees, Legislative Fees, Internet Fees, all that stuff the big guys add on we don’t. Others claim a fixed price then add massive fees that keeps the prices going up and up, we’ve never added a fee or raised our prices. 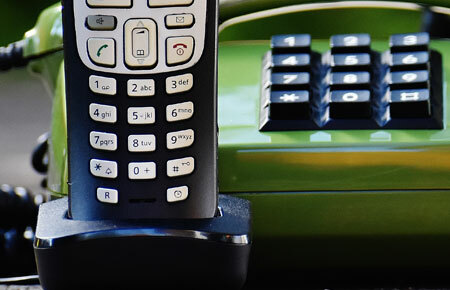 If you’re a business it’s a very different situation, most phone companies charge you by the phone number and that number, while it can have call waiting, is pretty much one person calling in or out. Our single lines will answer up to 1000 simultaneous calls and allow 1000 outgoing calls again simultaneously. So the days of needing five lines for five phone is so 1990’s. 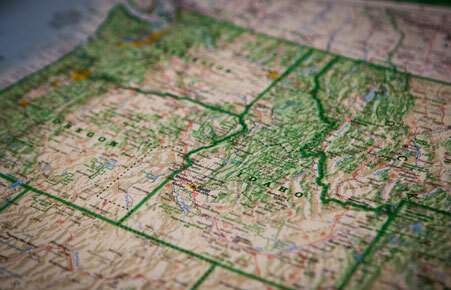 For example at Washington Broadband we have two phone lines, our main number (509) 853-0858 and a fax line. We have 9 phones that all can use that same one line at the same time. Most are at our office while several are at our employees houses for after hours calls, our warehouse, and even at our towers. 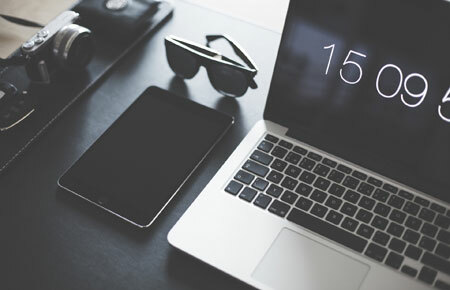 The business phones come with FULL PBX features that you can control from your own web portal such as forwarding, queue, menus, hourly controls, flex forwards to off number extensions, you name it it’s all there. What do we charge for this? $25/phone per month with one phone number included. I know right now you’re saying ‘but I pay $50 a line plus long distance and have a $20,000 PBX system, how can you be so cheap?”. Because we use today’s technology, not yesterday’s. That means if you are a one person shop for $25/month (if you add a fax line it’s the $11.95/mo price) you get full featured PBX included. I know, most people that switch to us used to have $800 a month phone bills and an expensive PBX from one of the local Telephone vendor companies and they now have maybe $200 a month for their whole office a free cloud PBX and a phone system that would keep running even if all of Yakima blacked out because it’s in Seattle and runs over your Internet. 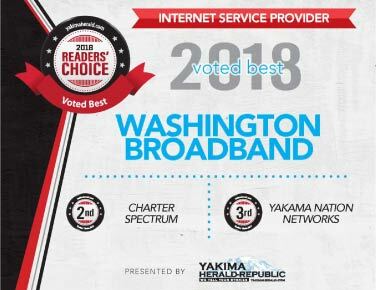 If your Internet went down you just forward your calls to your cell until whatever caused Yakima to go down was fixed, no sales lost. These phones are Voice over IP (VoIP) not hard wired like the traditional phone company so you have to have the Internet but then who doesn’t? We’re just trying to provide Yakima with the latest in technology but if you want to stay in the 90’s and pay far more than you have to for a local phone telephone provider to rip you off and overpay for phone lines, hey that’s all you.